Injection of autologous fat for volume restoration has a long history of more than a century . It is one of the most biocompatible soft tissue fillers , compared to other fillers available in the market , which can cause serious allergic reactions . The indications of fat injection are varied but common uses are – Facial Augmentation , Hemi facial atrophy , Lip Augmentation , Trauma scars or depressed scars , skin wrikles / Rhytids in the face , Skin rejuvenation specially in face and hands , Acne scar , Breast Augmentation & Buttock Augmentation. The procedure for fat grafting starts with harvesting of fat. Most common harvest sites are abdomen and thigh although in rare cases the back and bottom can also be used. The procedure can be done under local anaesthesia, but for patient comfort some sedation/ general anaesthesia can also be used . The viablity of fat graft is significantly better when fat is harvested by 2-3mm cannula with a blunt tip and several side holes . Syringe aspiration is a relatively atraumatic technique , is a better procedure and should be used for harvesting of fat .After harvest , most surgeons continue to centifuge the aspirated material at 3000rpm for 3 minutes . This allows the material obtained to separate into three definable layers .The top layer is mostly oil and the bottom layer is composed of blood and remaining tumescent solutions . It is the middle layer that represents mainly fat cells and is used for injection . In our centre , we also use the famous method of fat concentration by washing and collecting the fat concentrate , as given by my teacher , the world famous Plastic/Cosmetic surgeon — Dr Patrick Tonnard , of Belgium. The concentrated fat is injected in the previously decided area by using specialised syringes and needles/cannulas . The amount of fat needed is variable depending on pathology and indication .Precision in the placement of the fat is required for best results. Treatment of acne scar — The basic principal in a scar correction (including Acne scars) by filler injections like fat , is to raise the depressed scars , to the same level as the surrounding skin . In order to achieve an optimum result an adequate space should be created before the filling substance is introduced , So subcision is always done prior to introducing a filler or fat for acne scars . In the space so created , microfat is injected and on the superficial skin layers , nanofat is injected for skin rejuvenation. Postoperatively , massage and excessive exercise is discouraged in the immediate post operative period . These restrictions are to prevent migration of fat away from the desired areas of treatment . Patient should be seen in the first week postoperatively to check the donor and the recipient areas . Some swelling , altered sensation and minimal amount of bruising is common in initial couple of weeks and subsides gradually over time . It is better to follow up the patient for 2 months , as at this point most of the edema has subsided and early results can be assesed . If a repeat procedure is performed , a waiting period of 6 months should be given, to allow the first graft to revascularize and allow any edema to resolve . 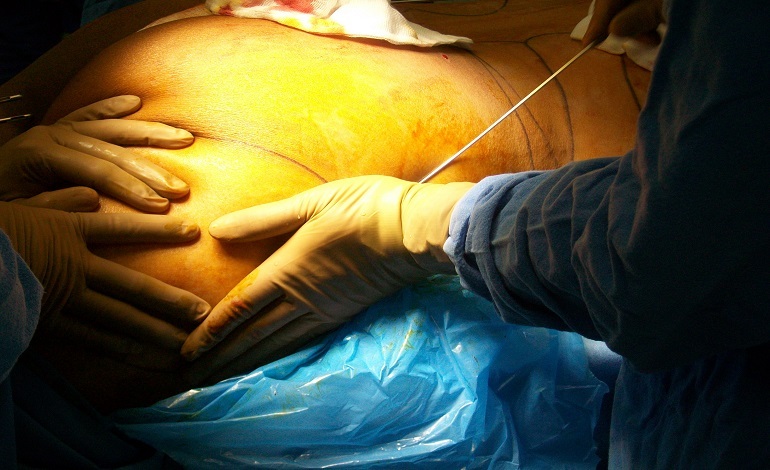 It is important to understand that survival of the fat graft is technique dependent , so it is always important to get it done by a plastic surgeon , who has specialised training in cosmetic surgery.